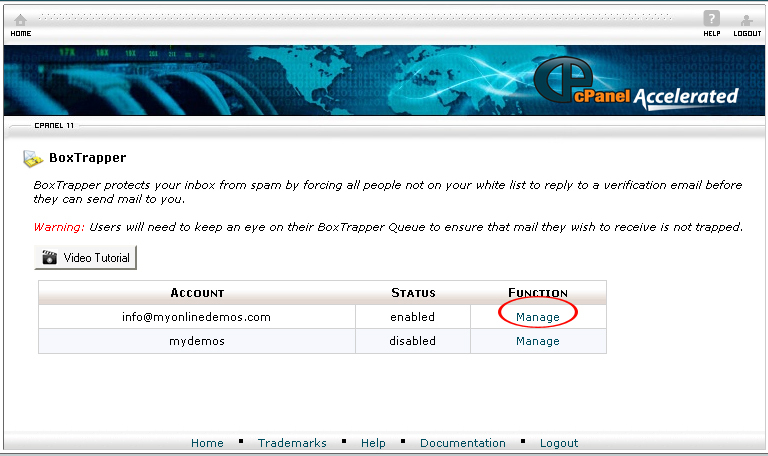 On the homepage of your Cpanel account, click BoxTrapper under Mail. 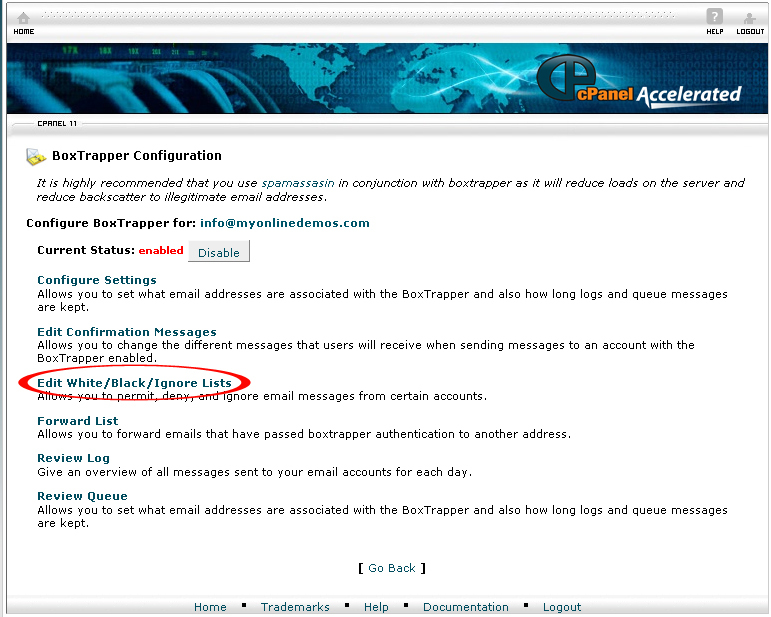 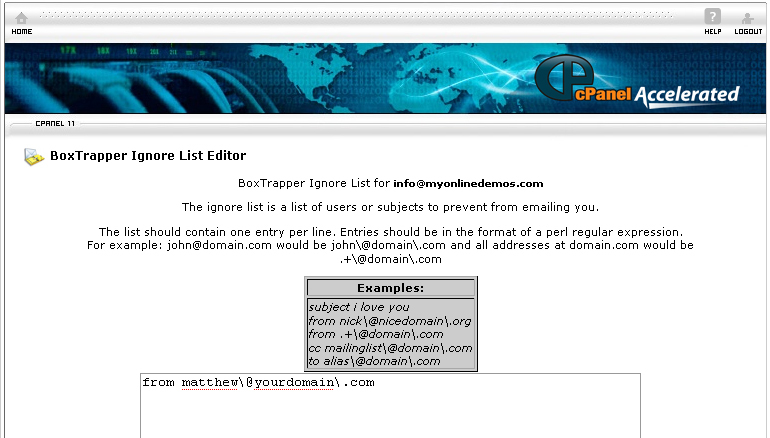 Search for the email account in which you to configure BoxTrapper and click Manage. 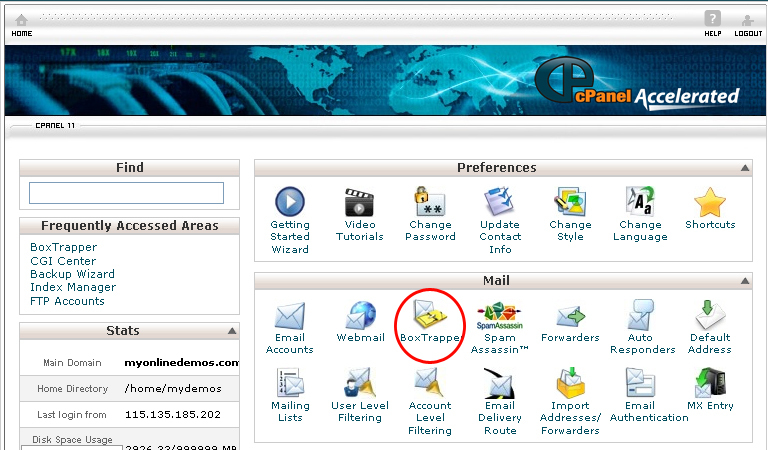 When you are done, click Save to save the changes you have made.